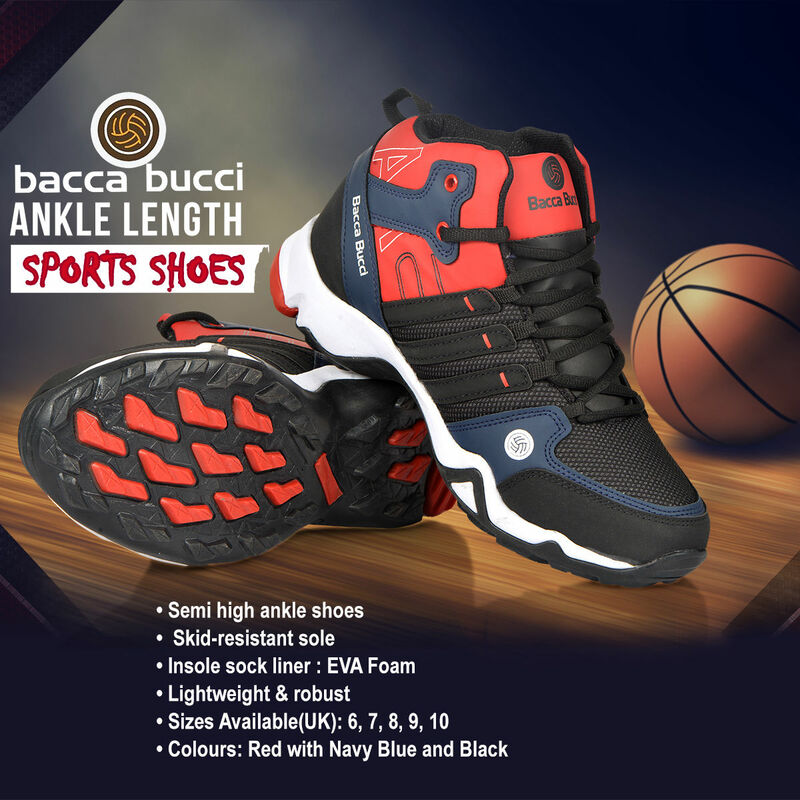 Run in style, improve your gymming experience and look fashionable with Bacca Bucci Ankle Length Sport Shoes. 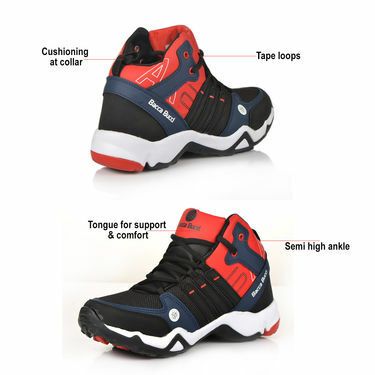 Featuring PU mesh and padded-cushioned insole, they are durable, light in weight and comfortable to wear. 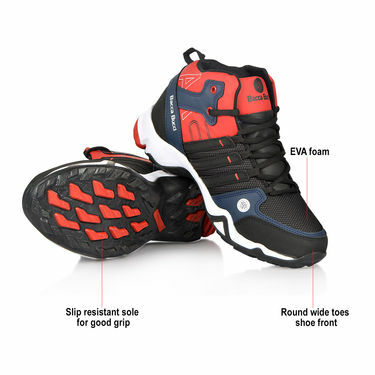 The slip-resistant sole provides excellent grip on all terrains. Finessed with contrast detailing, these sports shoes are miles ahead of conventional footwear. 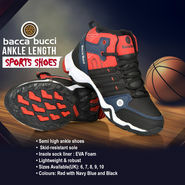 durable, light weight and amazing pair of shoes at this price. Bacca Bucci Ankle Length Sports S..VSBacca Bucci 3 Guna Jyada Shoes (N.. Bacca Bucci Ankle Length Sports S.. VS Bacca Bucci 3 Guna Jyada Shoes (N..
Bacca Bucci Ankle Length Sports S..VSAairwalk Trendy Sports Shoes + Fl.. Bacca Bucci Ankle Length Sports S.. VS Aairwalk Trendy Sports Shoes + Fl..
Bacca Bucci Ankle Length Sports S..VSLiberty Sports Shoes + Floaters +.. Bacca Bucci Ankle Length Sports S.. VS Liberty Sports Shoes + Floaters +..